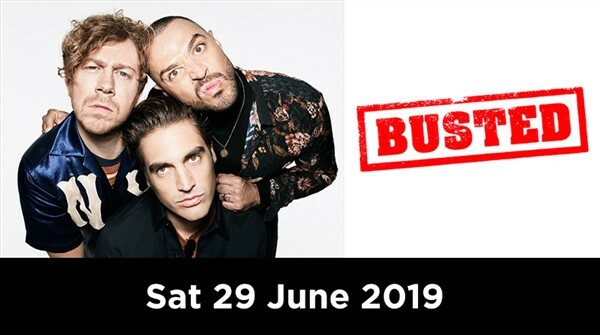 Transporting you to the Year 3000 for a night of fun, frolics and fantastic racing, pop-rock heavyweights BUSTED will be storming Summer Music Saturday at York Racecourse on the 29th June. Busted have grown up without growing old on their new album Half Way There, playfully leaning towards the nostalgic and the reflective. York Racecourse is set to bask in that nostalgia and yet be taken back to the future as the trio return to their hyperactive sound for the first time since 2003s all-conquering, multi-platinum A Present For Everyone. Already confirmed for Saturday 29th June 2019.